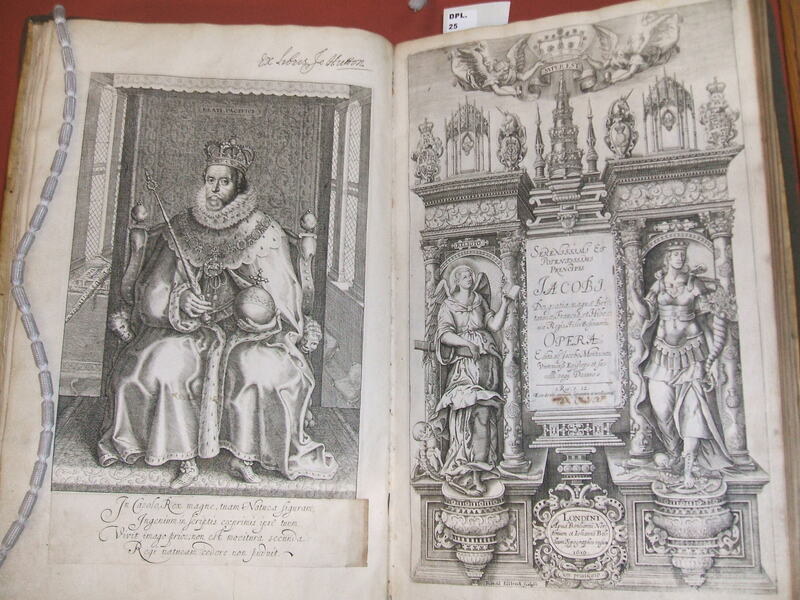 The recently completed cataloguing of the Dumfries Presbytery Library Collection housed at New College Library, finally allows the volumes to be readily available after an often fractured history . Originally held in the Dumfries Presbytery Library until 1884, the collection had to be moved after the roof was damaged and the library was flooded. The volumes were kept in storage until 3rd March 1885 when they were lent to General Assembly Library. There they stayed until 1958 when the entire General Assembly Library was transferred to New College Library where they were dispersed by subject. It was after John Howard became Librarian in 1965 that he noticed there were many items that had marks of provenance in the form “Ex libris bibliothecae presbyterii Dumfriesiensis ex dono Joan. Hutton M.D. 1714”, and that many were distinctive because of the water damage they received in the flooding a century before. Intriguingly almost all had the words “Ta ano” (ta ano) inscribed on the title page. Having identified them as part of a distinct collection he brought them together again. The aforementioned John Hutton was born in Caerlaverock, Dumfriesshire and donated his book collection to the Dumfries Presbytery Library in 1714. He had an interesting history being personal physician to William of Orange and was with the King as his physician and advisor during the Battle of the Boyne in 1690. 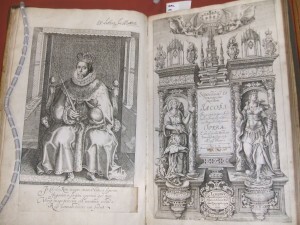 The collection is made up of around 1500 volumes from the 16th to 18th century, with a range of subjects including, science, medicine, philosophy, politics, history , travel, and of course bibles, biblical studies and theology. 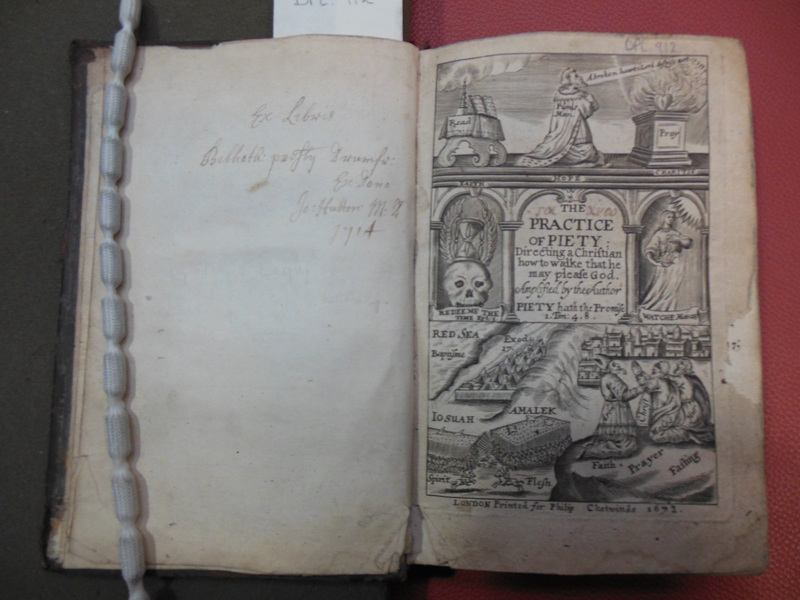 It contains numerous interesting items such as “The Booke of Common Prayer and Administration of the sacraments …” (Edinburgh : Robert Young, 1637). This is the famous “Laud’s Liturgy”, the service book forced on the Church of Scotland by Charles I’s bishops. After the collection was catalogued, it was surveyed by Caroline Scharfenberg, a specialist book conservator based at the University of Edinburgh’s Main Library, who made a number of recommendations for the future conservation and preservation of the collection. Both the cataloguing and the conservation survey for this collection were made possible by the generous donation of the Rev. Dr Robert Funk. In 1884, the decision was made to transfer the collection to the General Assembly Library in Edinburgh, following a gale that damaged the roof of the presbytery house letting in rain that soaked the books. 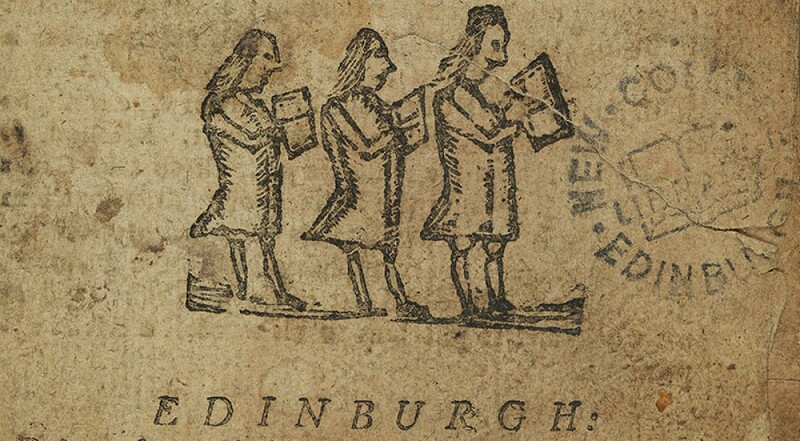 With this transfer, at least some of the books were marked by the ownership stamp of the Library of the General Assembly of the Church of Scotland : the symbol of the burning bush surrounded by the words “Bibliotheca Ecclesiae Scoticanae”. In 1958 the General Assembly Library was transferred to New College Library, and the books of the Dumfries Presbytery Library were dispersed by subject as part of the New College Library collection. 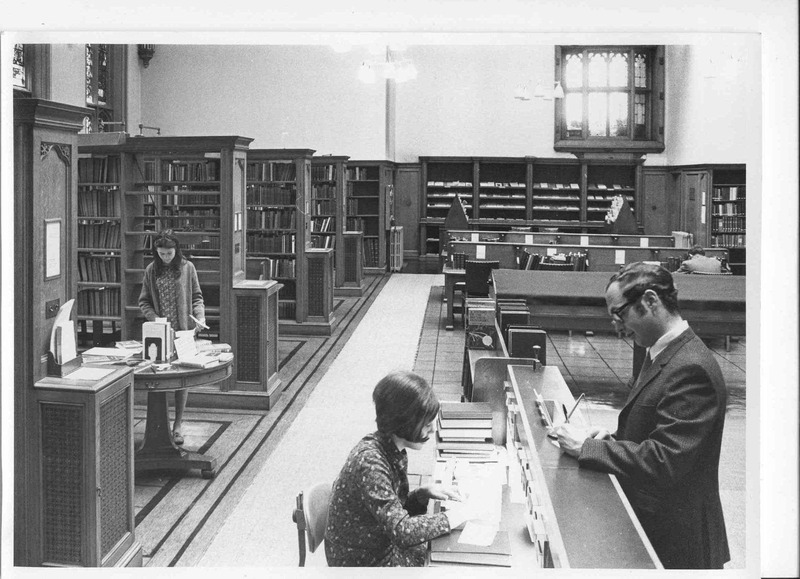 In 1962, New College Library came under the governance of Edinburgh University Library, and in 1965 John Howard took over as New College Librarian. 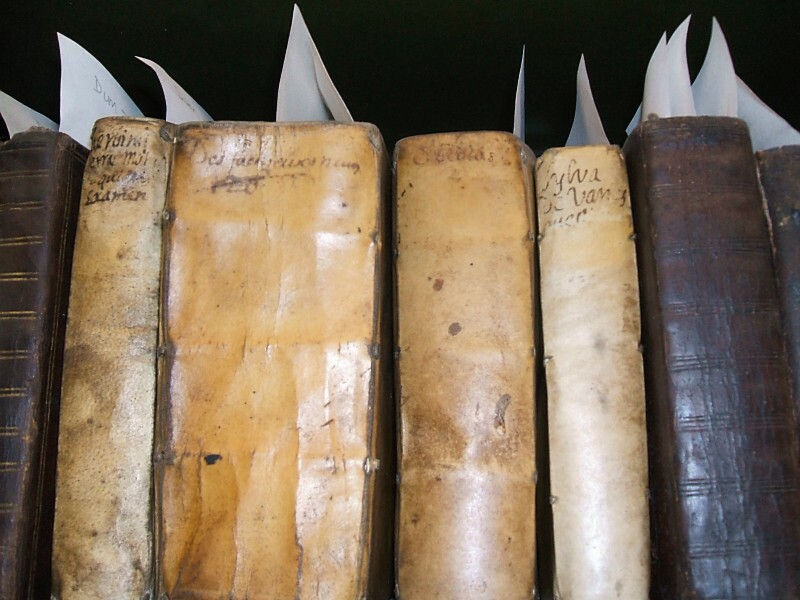 He took a particular interest in the Dumfries Presbytery Library and he reassembled c. 1500 volumes from the collection in their original pressmark order as a Special Collection. In the summer of 2012, a project has begun to catalogue the Dumfries Presbytery Library online in its entirety. This project is one of the Funk Cataloguing Projects at New College Library. Spent some time this morning sculling through the New College archives looking for correspondence about some of the New College Special Collections, the Dumfries Presbytery Library and the Longforgan Free Church Ministers’ Library. There’s a fascination to leafing through the thin typewritten sheets that measured out the business of New College Library over the decades. One envelope contains the daily diary notes of the New College Librarian for the autumn term (no semesters then) of 1965 – jottings and tick lists of meetings about the finances, measuring up the space needed for new periodicals, noting library staff who’ve gone home feeling ill. Other letters are handwritten enquiries to the Librarian, and his replies – “Dear Miss Grant, I have very little to tell you about the revival of the use of the saints names as dedications of Church of Scotland Parish Kirks …” this said, the letter went on to give a full page of information. My life as a librarian is measured out in e-mails, with paper letters like these occasionally lurking at the fringes.